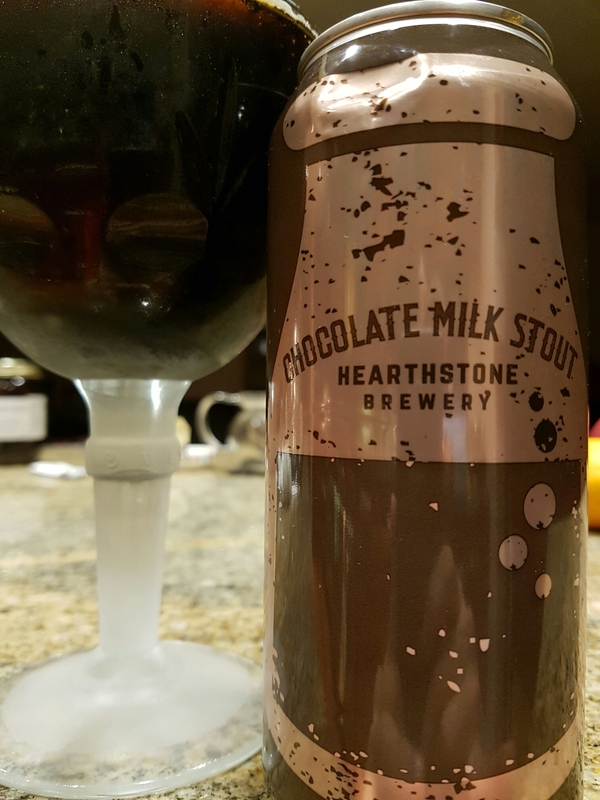 Chocolate Milk Stout – Hearthstone Brewing Co. (North Vancouver, BC, Canada) | Justintoxicated. 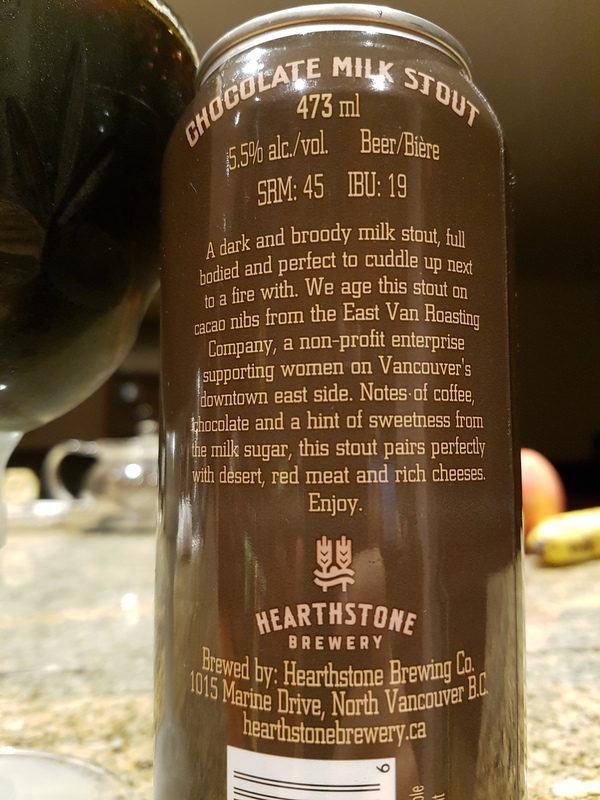 -My 1st tasting from this newish brewery up in North Vancouver. Visual: Pours blackish-brown without a siginificant head, ringed retention with large islands, lots of micro streams. Summary: More of a nutty cacao nib flavour than actual chocolate, nevertheless it’s still quite good with decent depth and length. Not quite enough ‘milk’ character and a touch thin in the finish.